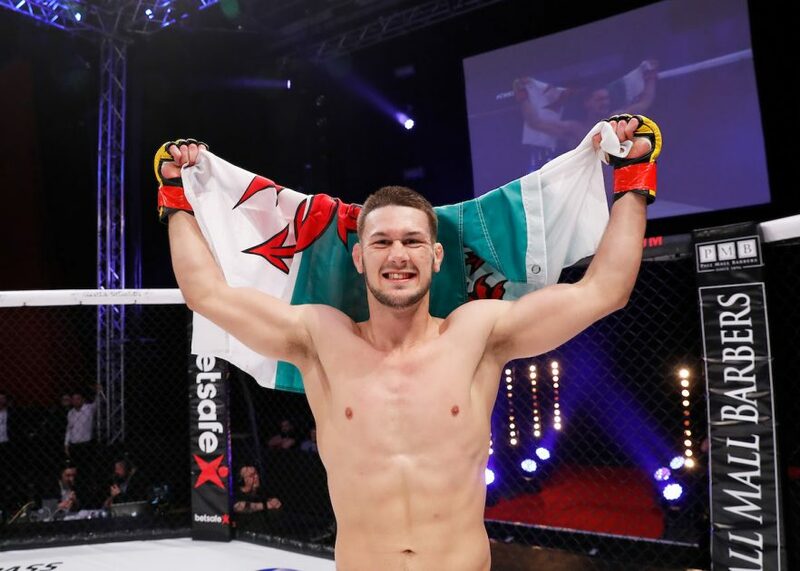 MMA in Wales has had a proud and decorated history when it comes to Cage Warriors. In today’s episode of Across The Pond, you will meet an aggressive firebreather looking to fly the flag of victory at Cage Warriors 104 on April 27. 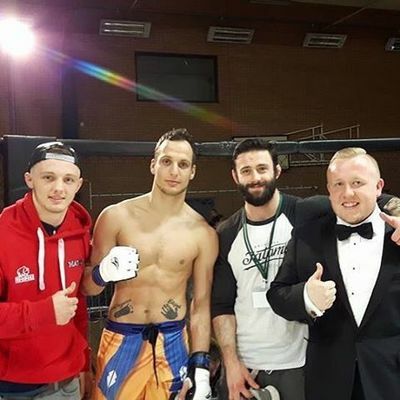 A professional since April 2013 and representing The Mat Academy Wales, Aaron Khalid owns a 9-4-1 record in 13 career bouts as a professional comprised of six submissions, two knockouts one decision and a draw. Khalid has spent the majority of his professional career with Cage Warriors and has earned a finish in eight out of his nine professional victories. In his MMA debut at Total Full Contact, he defeated Wayne Drake via TKO in the first round. Khalid defeated Mark Finney via unanimous decision at Ultimate Impact 12. Then at Ultimate Impact 16, he faced Wayne Drake for the second time and tapped him out in the second round via rear naked choke. Khalid also submitted Kyle Benger via rear naked choke in round one at Ultimate Fighting Premiership. In his debut appearance with Cage Warriors at Cage Warriors 79, he tapped out Adam Proctor via rear naked choke in the second round. For the headliner of Cage Warriors Academy, Wales Khalid submitted Phil Wells in round two via guillotine choke. He defeated Jordan James via TKO in the first round at Adrenalin Fight Nights Adrenalin at the Grand 2. In his next appearance with Cage Warriors at Cage Warriors 97, Khalid submitted Jamie Richardson via rear naked choke in the first round. At Cage Warriors 100 which celebrated the 100th show in the promotion’s history, he tapped out Norway’s Hakon Foss via brabo choke in the second round. 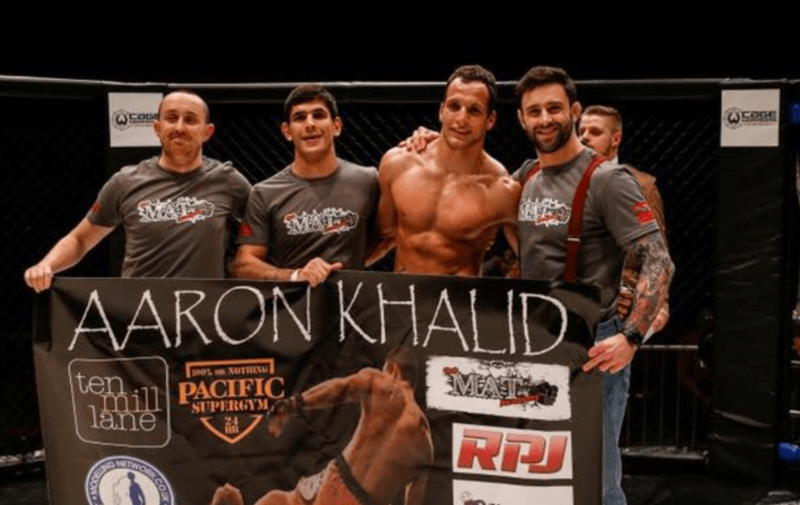 The win also earned Khalid the sixth submission victory of his professional career. For his next outing with Cage Warriors at Cage Warriors 104 on April 27 in Cardiff, he will face European MMA veteran Tom Watson in a welterweight tilt. Good luck Aaron!